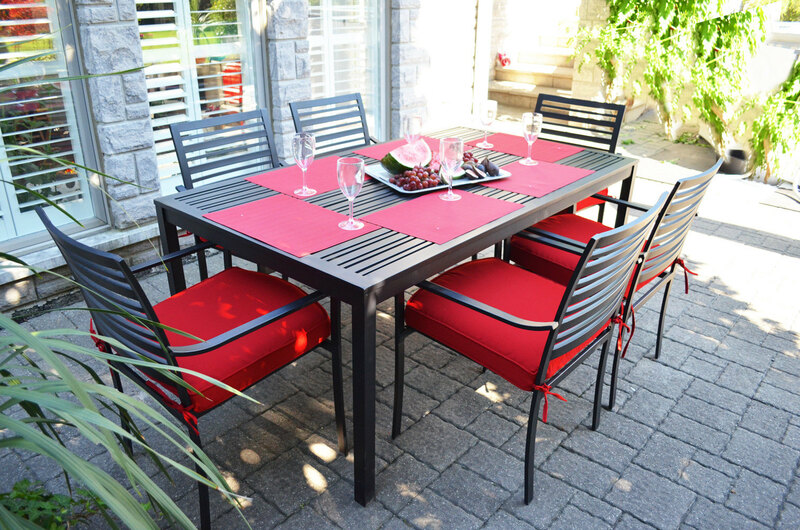 The Lexi collection is the ideal in transitional seating for easy outdoor dining. Slatted back relaxes at a modern angle, inviting leisurely dining and conversation. Smooth, rustproof black powder coated finish stands up to the elements.